Too busy packing, I didn’t watch the game. 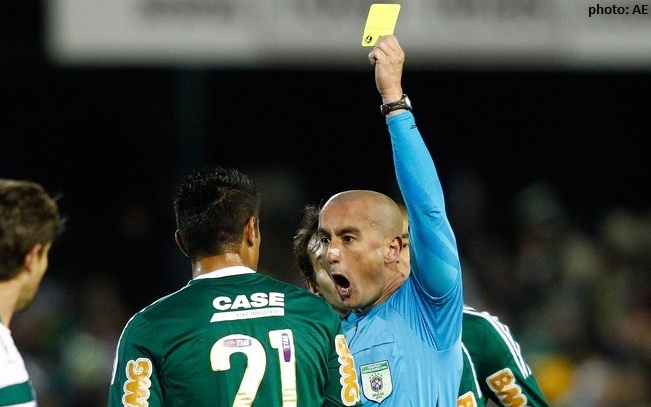 But I do know that our Verdão faced 12 opponents yesterday: Coritiba + the referee. Under the circumstances, and playing one man short during the last 20 minutes as Thiago Heleno was forced to take down an opponent heading straight for the goal, the draw wasn’t a bad result. Unfortunately, our direct rivals Corinthians, Flamengo and Vasco won their games. No despair; we’re only one third into the championship, there’s going to be flowing a lot of water still under that bridge.